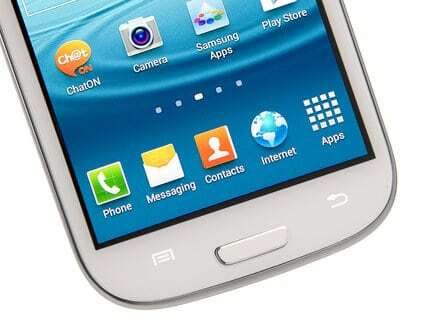 After lots of speculations regarding the future design of the next Samsung flagship device, the Samsung Galaxy S4, a report from Korean daily, a South Korean newspaper, says that Samsung has taken the decision to keep the physical home button at the bottom of the device. This means that also the back and menu capacitive buttons will be kept. Other rumors that predicted an S-Pen with the Galaxy S4 were dismissed also. But still there are reports that say the S4 will come with some non-contact gestures to control the device. The first event dedicated to the Galaxy S4 is supposed to take place at the end of March, when an unpacking event will be held exclusively for the S4. After that we can expect the device to be out in a matter of weeks. We will keep you updated with future rumors about the S4 in the following weeks.